More information about MRS Saab FJ racing car will be available soon. More information about MORETTI FJ racing car will be available soon. 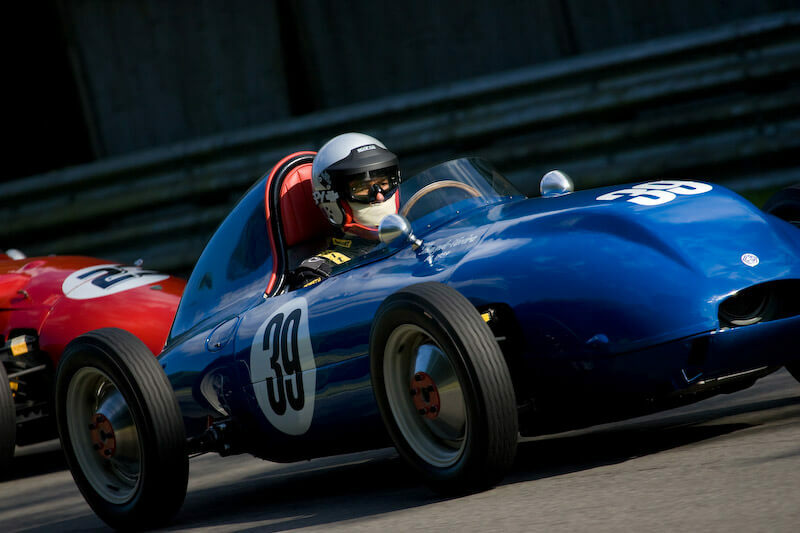 The very first British Formula Junior cars to be built were the Halston Elva and the Moorland which appeared during the early part of 1959. 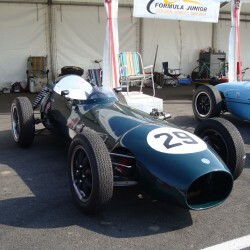 The Moorland car was a one off and the pictures below show the car at the 2005 Brands Hatch Superprix where it was driven in the A2 class of the FJ race by the current owner William Grimshaw. William has kindly provided the following information about this rare and unique car. A unique one off racer built 1959 by Moorland Car Company, Southall, London. 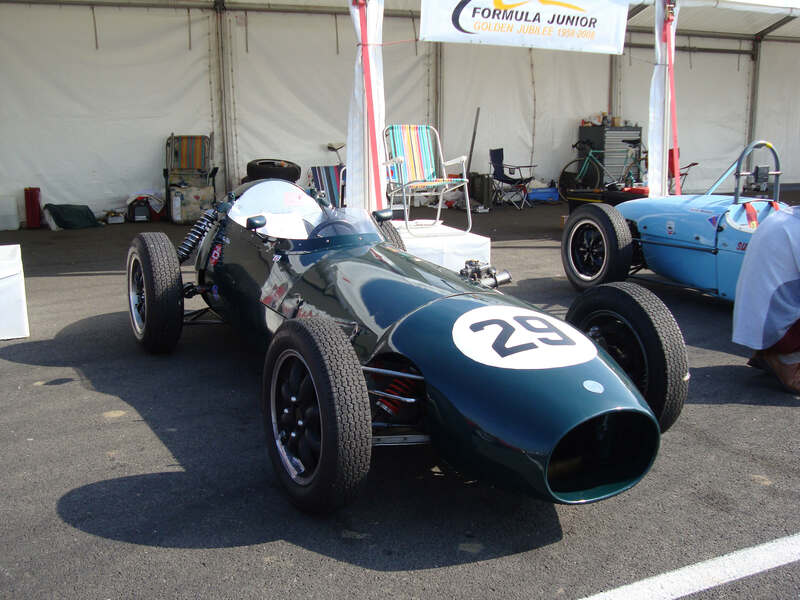 Designed by Les Redmond, ex McLaren/Lotus, and was used as the basis for the very succesful Gemini series of fast Formula Junior cars. 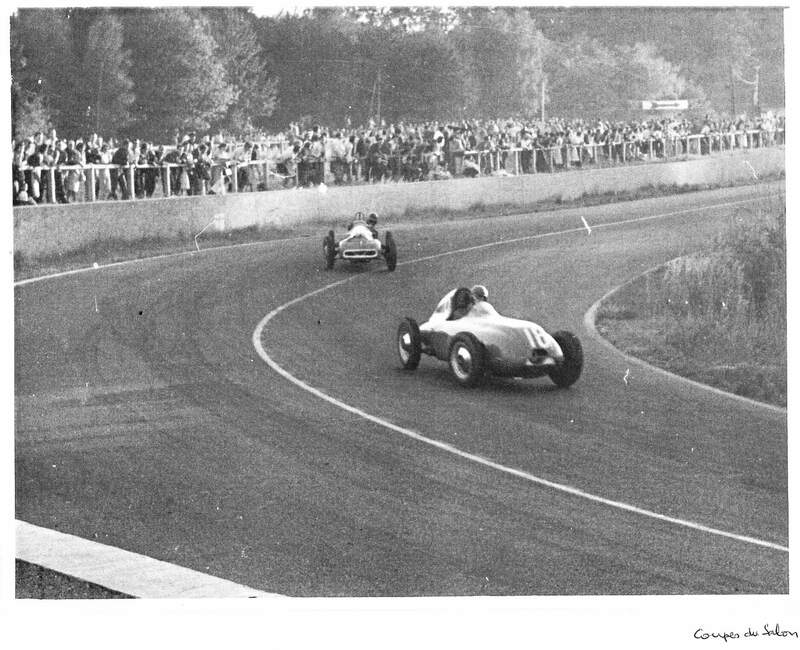 First raced at Brands Hatch in August 1959. 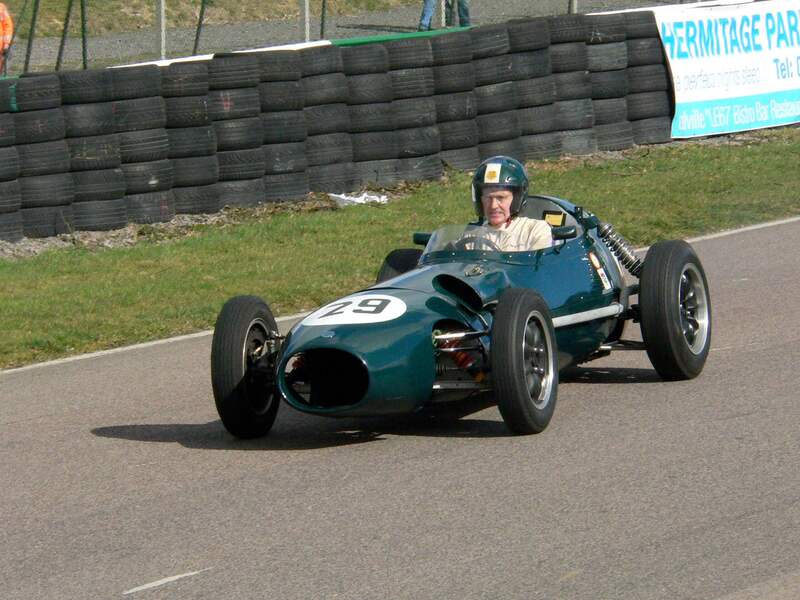 (the story) Graham Warner, Lotus team driver, and owner of the The Chequered Flag dealership and race team, had purchased the car from Moorland Car Company and entered it in Britain’s first Formula Junior race. Unfortunately, Warner encountered delays returning from racing at the Nurburgring. Stuck in traffic on the way to Brands Hatch, he called his mechanics at the track and asked them to find someone to drive the car in its initial outing. 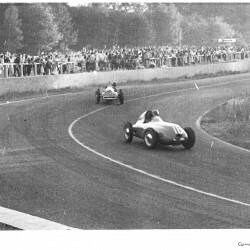 They came across the keen Formula 2 driver, Ian Raby, who having to start from the back of the grid, passed all other Formula juniors to win and set the first ever Junior lap record at Brands Hatch. Thus ended the first ever Formula Junior race in England with this car winning. 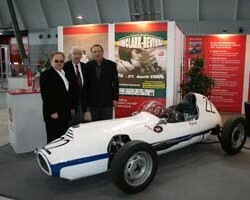 It was then sold to Jo Morris Junior, America in 1960 and raced until 2001. Repatriated from the East Coast in 2002 on the advice of Duncan Rabagliati, it was rebuilt by Derek Walker for W Grimshaw, the present owner. it has now received a new lease of life, as has its ageing owner! (Williams own words not mine)!!!! This car is one of the rare front-wheel drive FJ’s together with the French DB (also powered with Panhard engine), the British Bond (Ford engine) and the german Mitter ( DKW engine). This car is unique . Monopole-Poissy was a firm that made parts for the French automobile industry. From 1947, it had a competition department and built sports-racers with which it was successful in the Index of Performance at Le Mans in 1950, 1951, and 1952. 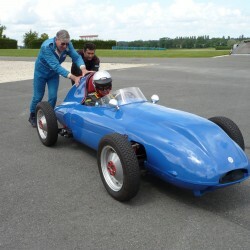 The usual drivers were company directors J de Montremy and J Hermard and the cars used Panhard Dyna engines. After the 1955 Le Mans, Panhard decided to rely on Monopole for its racing activities, but in the winter of 1958 it withdrew from racing in favour of rallying. 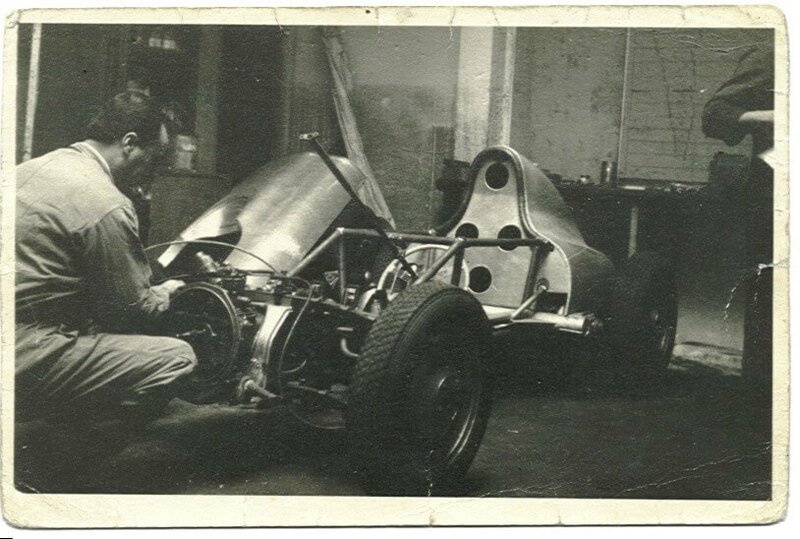 At around the same time, José Carvallo de Oliveira, who was a Monopole technician and race mechanic, asked boss de Montremy if he could build a car for the new Formula Junior, using parts left over from other racing projects. 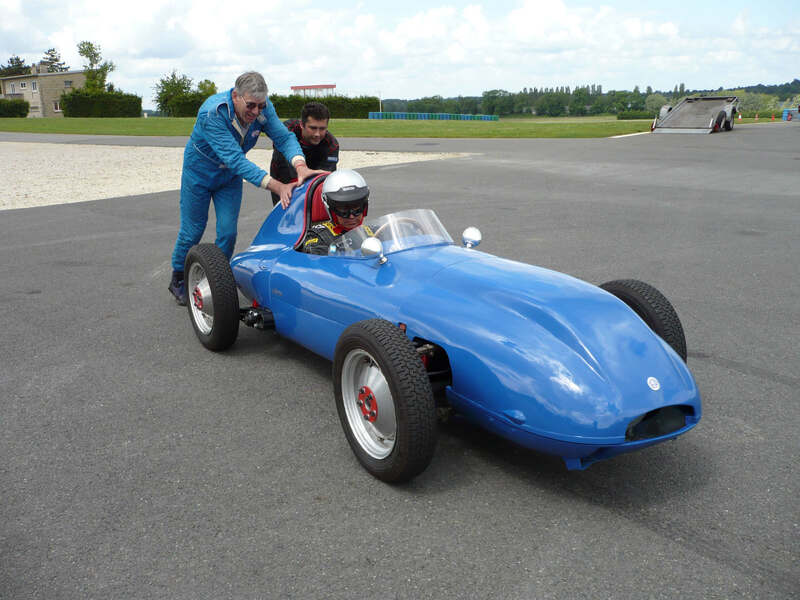 The flat-twin engine, suspension and body parts were Panhard and, with the help of people in the then-closed competition department, the car was completed and raced by de Oliveira in 1959 and 1960. At the end of its second season, it became obvious that the car was becoming uncompetitive and de Oliveira could not afford to develop it further. The car was stored at eh factory in Poissy, near Paris, then later at de Oliveira’s nearby home. 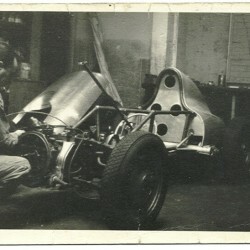 He had plans to rebuild the car with his son in the ’90’s but never did and died in 2004. In summer 2007, de Oliveira’s son incorrectly advertised the Monopole for sale as a ‘Monomill’. Parisian Gilbert Lenoir was not put off by the wrong description and bought the car. Text taken from Michael Ware’s Lost & Found column in the May 2008 Classic & Sports Car. 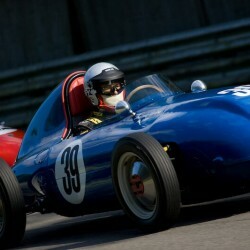 It made its debut after more than 40 years at the Formula Junior Golden Jubilee Celebrations at Brands Hatch in June 2008. 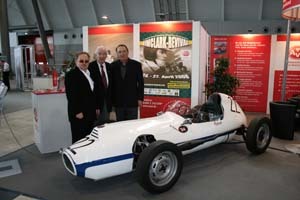 This Formula Junior car was built in Western Germany and raced by Gerhard Mitter in 1959. 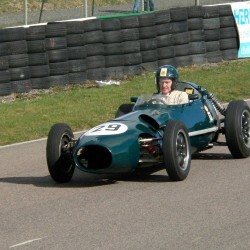 The car was front engined and powered by a 3 cylinder DKW engine. (any further info on the Mitter would be appreciated). Eberhard Mahle and Hans-August Staussberg, taken by Tobias Aichele. More information about MEUB FJ racing car will be available soon.